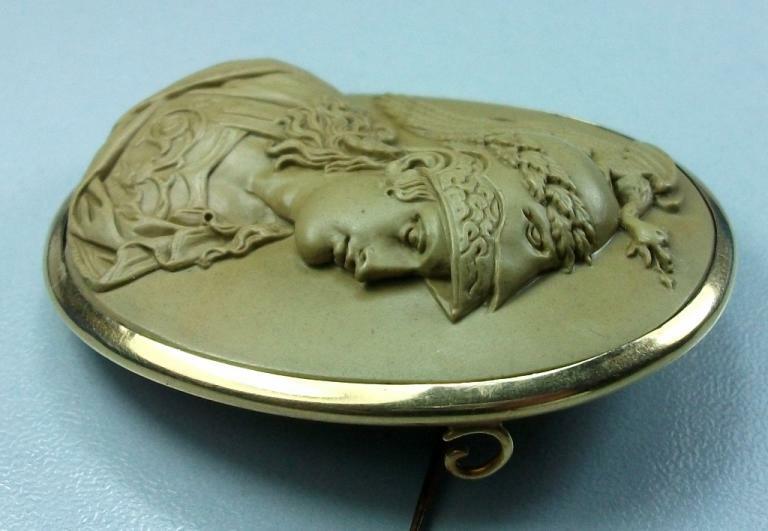 Material: Lava stone, 15k gold tested. 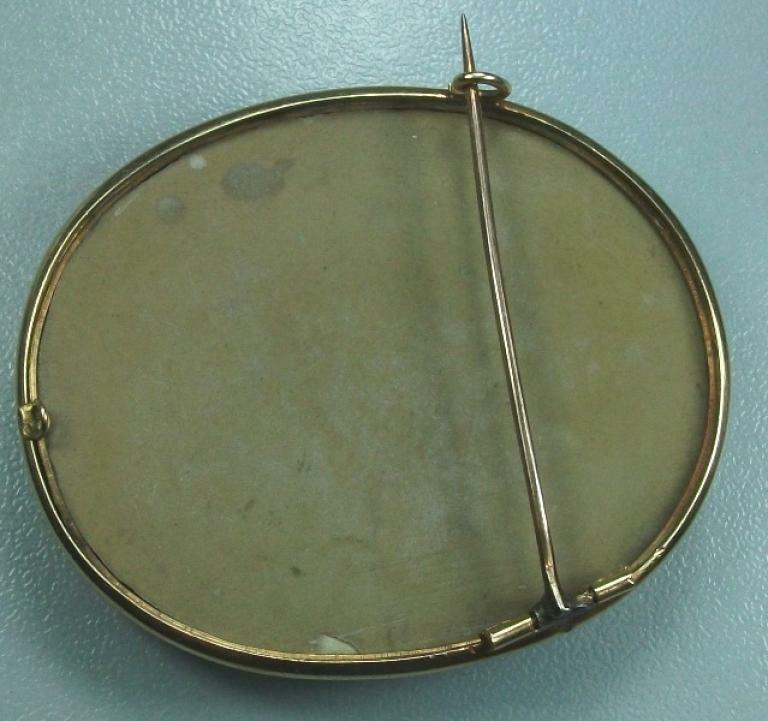 Size: 2 7/8" by 2 1/2" only cameo is 2" by 1 5/8". Conditions: Excellent. The line that can be seen running horizontally at 6:00 hours is not a stress or crack, it is just an inclusion of the stone like the smallest spot on her face. Always please remind that pictures are strongly enlarged. 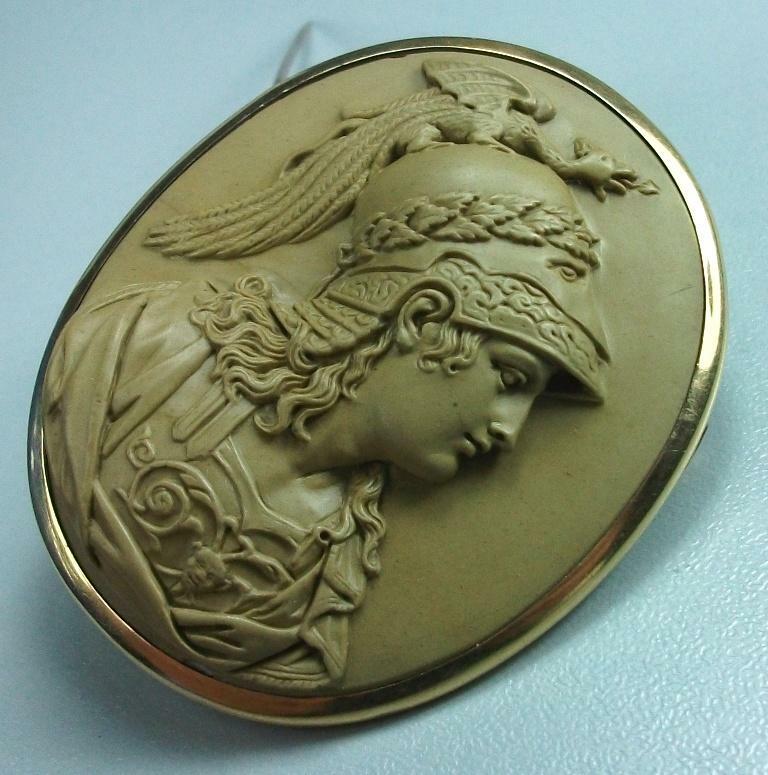 Museum Quality cameo depicting Athena the Goddess of Wisdom. 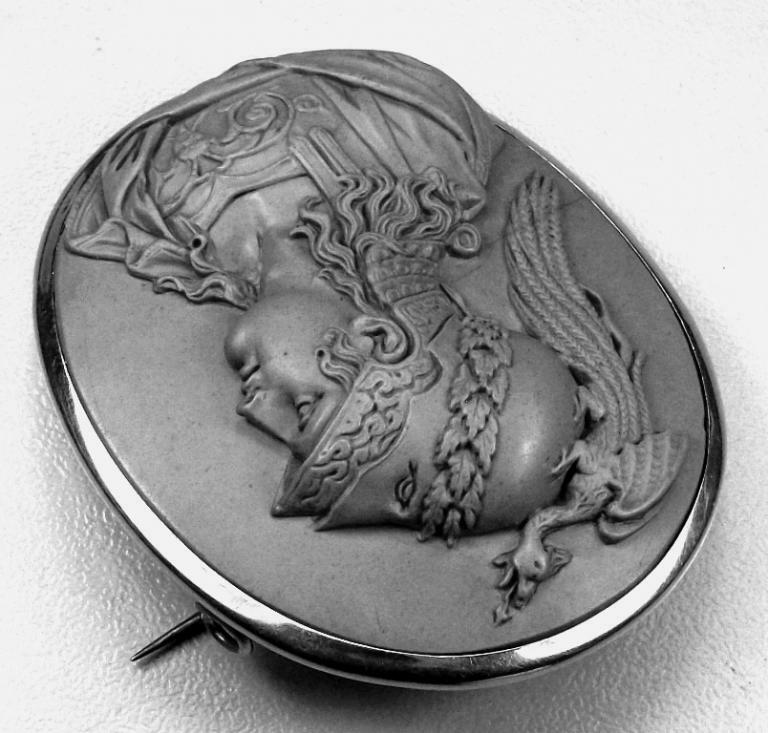 The carving on this cameo is simple perfect and very crisp. Her facial features are strong but feminine and show strength and nobility. 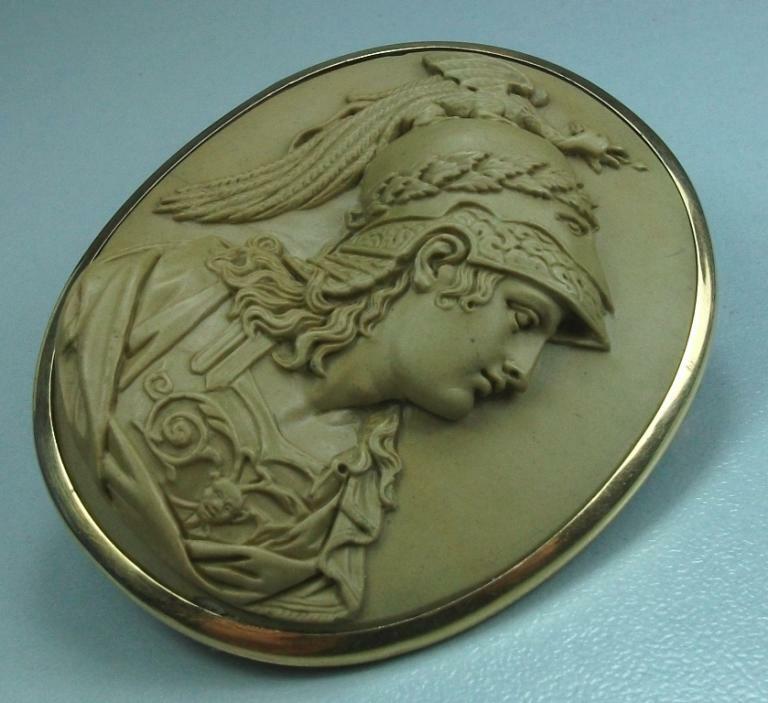 Athena is here portrayed with her sumptuous helmet surmounted by a dragon. 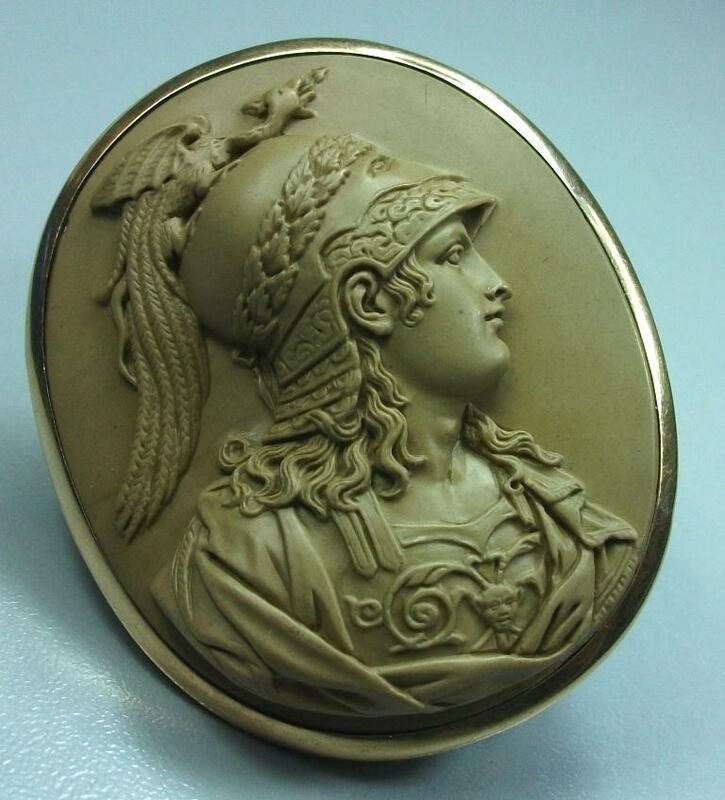 This is a Renaissance depiction of the Goddess Athena, you can see it looking at her clothes and at the decoration on her breast and on her helmet. 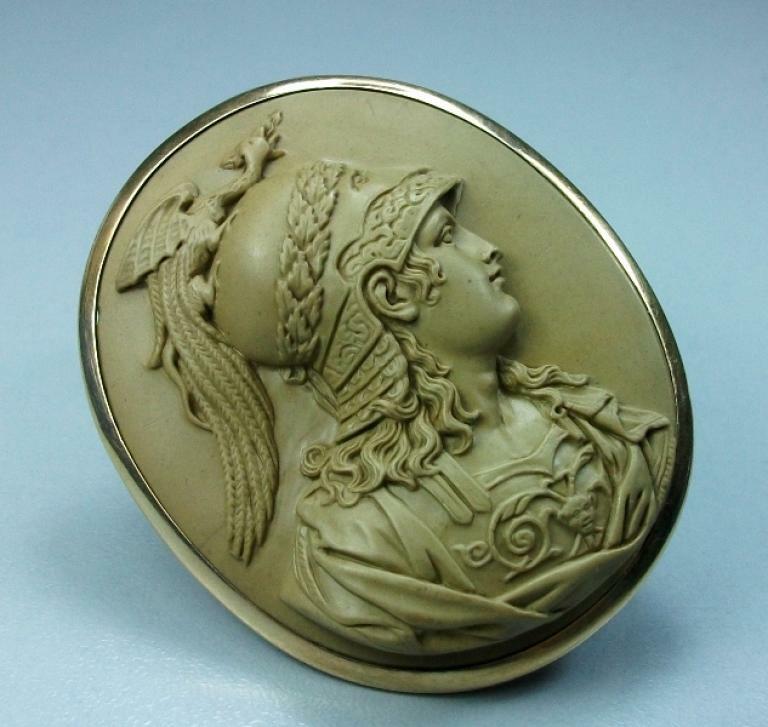 This cameo is full and rich of details, the helmet worn by the goddess, her wonderful long hair, her armour. 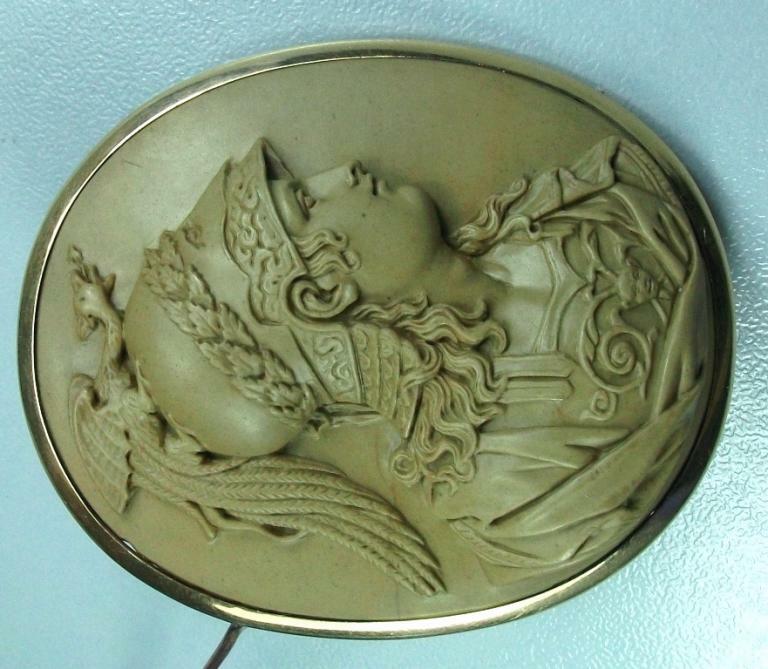 A wonderful cameo hard to find and in excellent conditions. 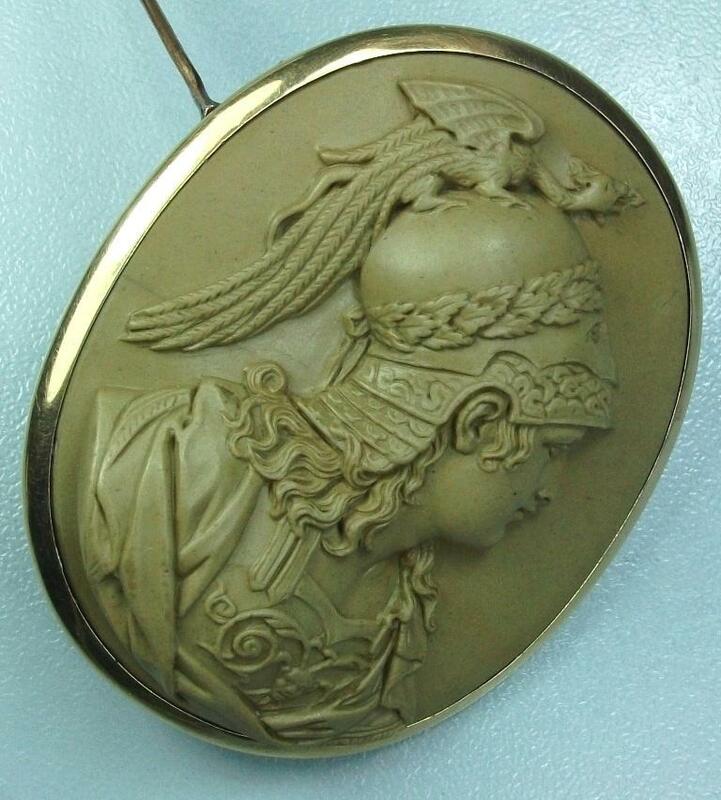 Rarest cameo and subject very desirable collectors' piece. Absolutely to not to miss. 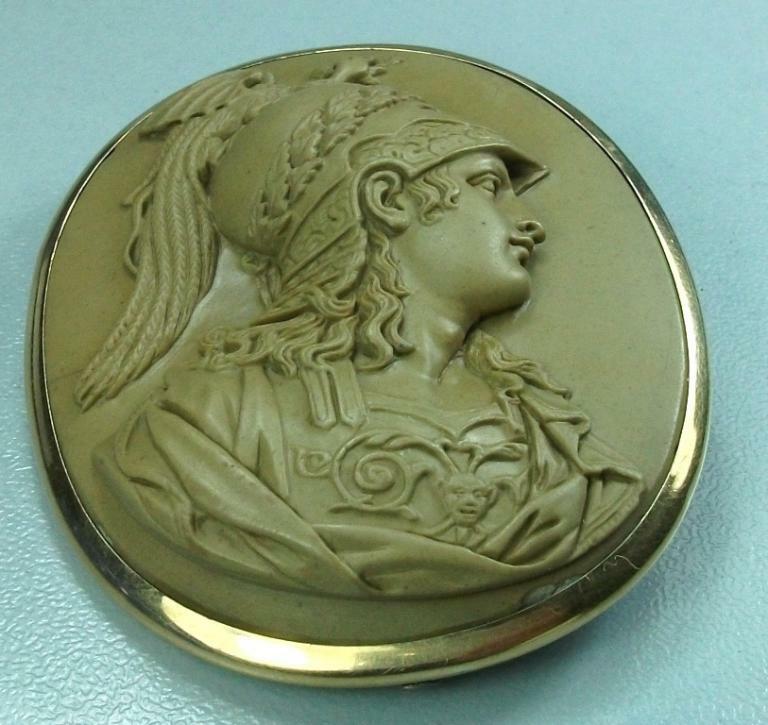 In the Greek mythology Athena, daughter of Zeus, was the goddess of Wisdom, of the Weaving, of the Arts, and, presumably, of the noblest sides of the War, while the violence and the cruelty were part of the dominion of Ares. The sacred symbols were the owl and the olive. 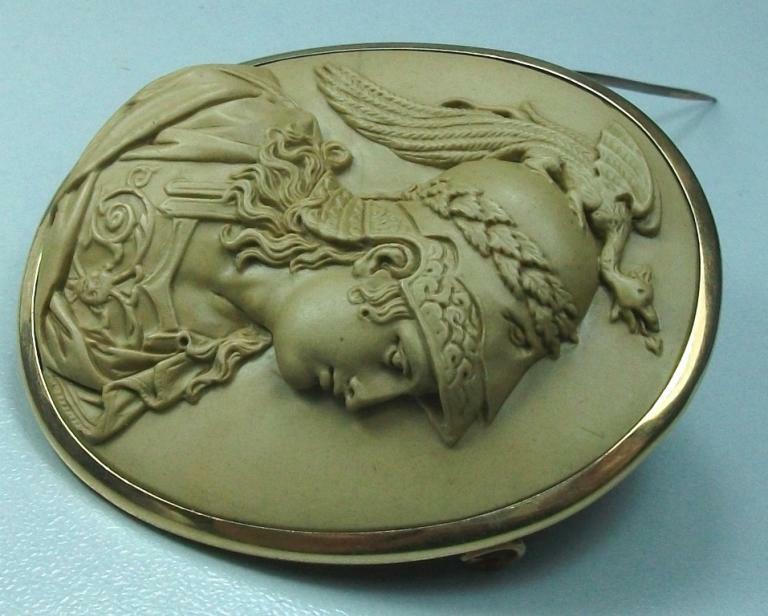 She is almost always represented with a helmet or a shield and with the Aegis (a short armour with fringes) with in the center the head of Medusa given by Perseus to Athena in sign of thanks for the help had when he faced the Medusa. 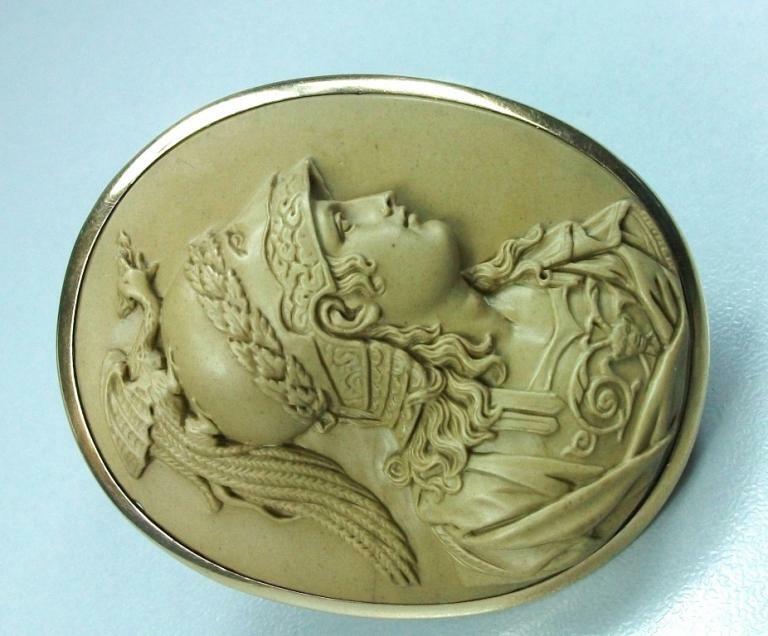 Athena never had an husband or lover and for this she was known like Athena Parthenos (the Virgin Athena), from which the name of the most famous temple dedicated to her, the Parthenon on Athen's Acropolis.